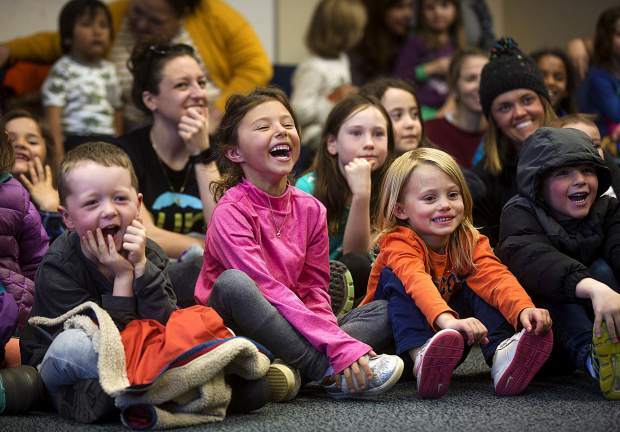 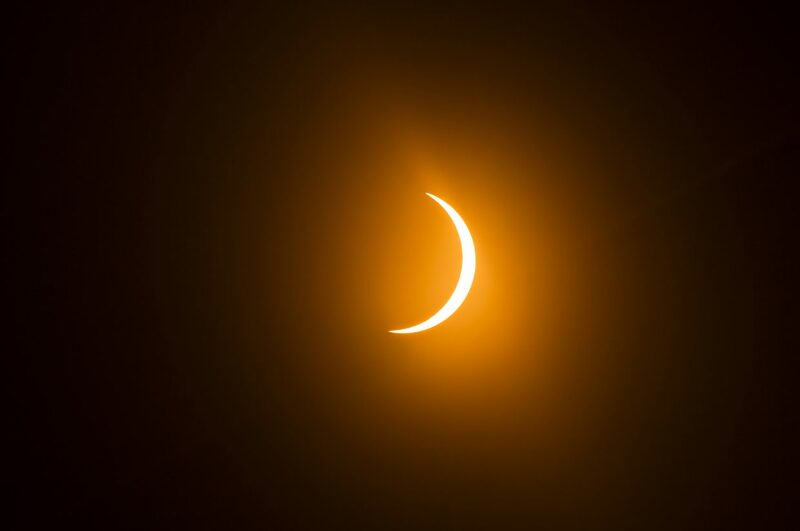 A nearly total solar eclipse is visible from Summit County late Monday morning, Aug. 21. 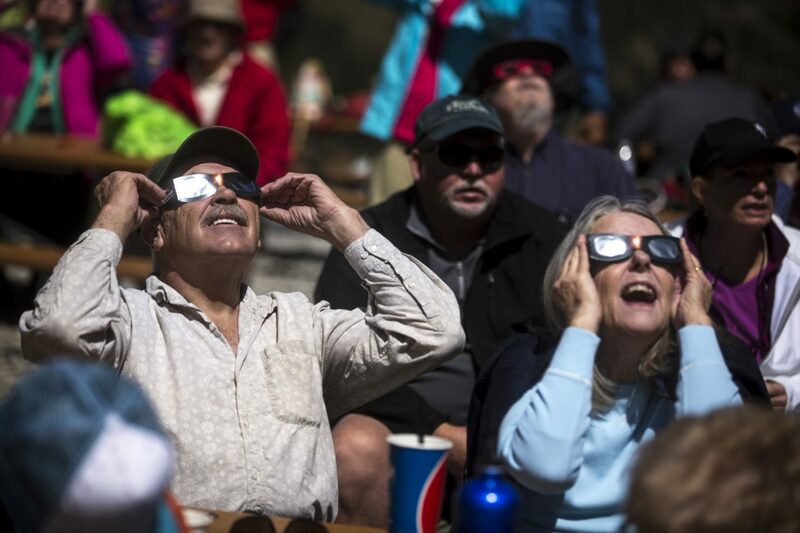 Silverthorne residents John and Jane Timmons view the solar eclipse through the solar goggles Monday, Aug. 21, at Arapahoe Basin. 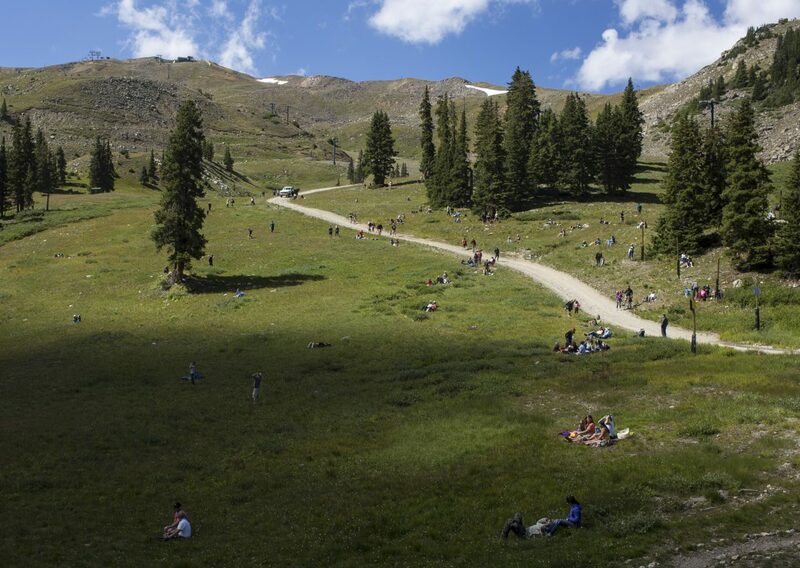 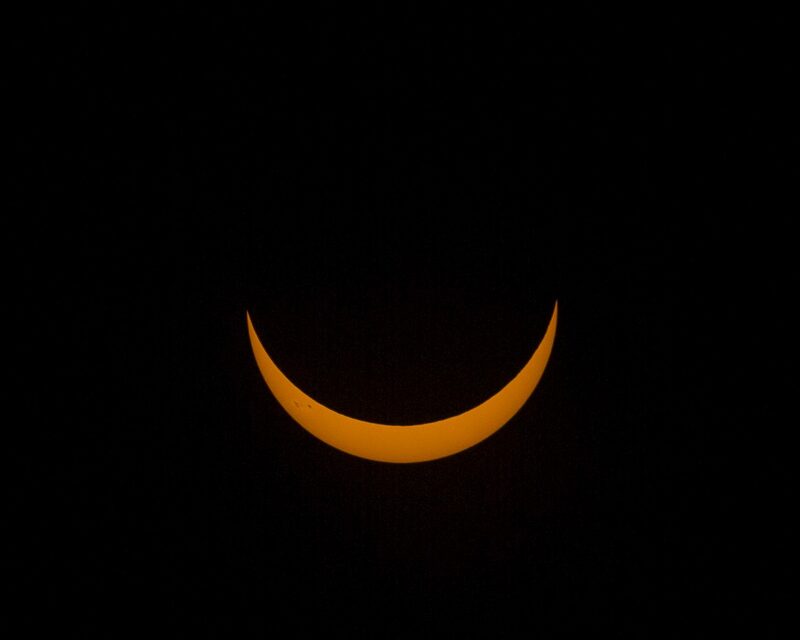 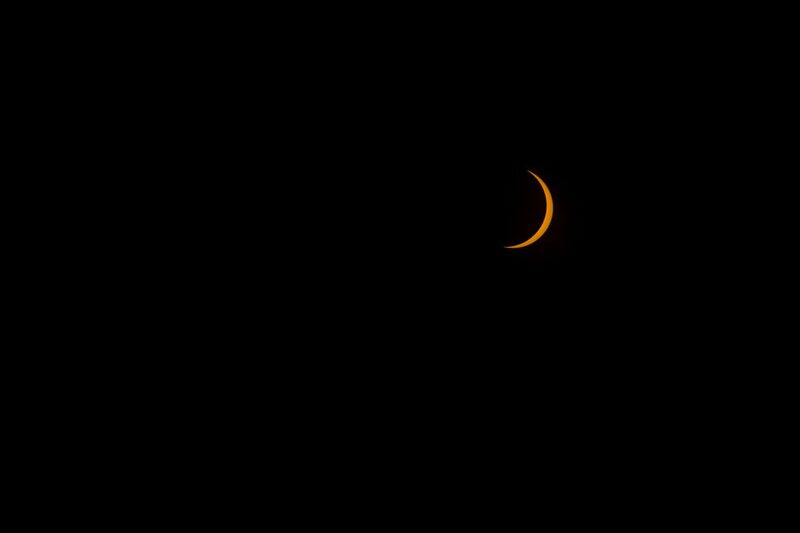 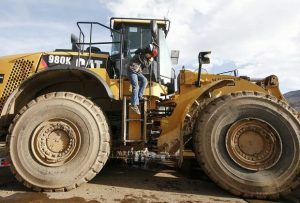 Solar eclipse viewers spread out on Arapaho Basin Ski Resort Monday, Aug. 21. 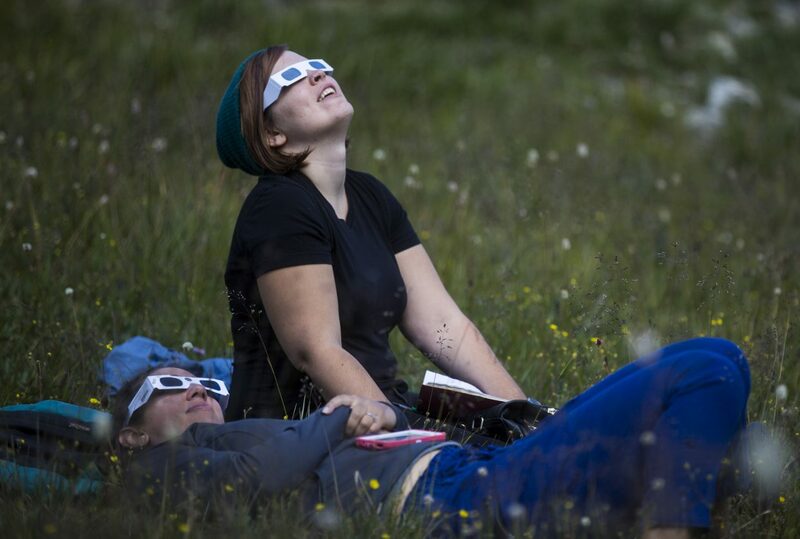 Lily Becknell, right, and Amanda Wolff, both who traveled from Denver, to view the solar eclipse through the goggles Monday, Aug. 21, at Arapahoe Basin. 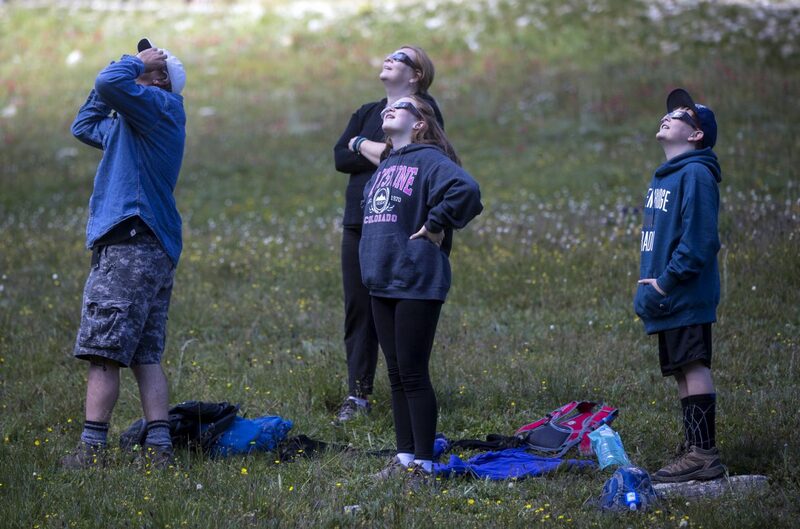 Solar eclipse viewers Monday, Aug. 21, at Arapahoe Basin. 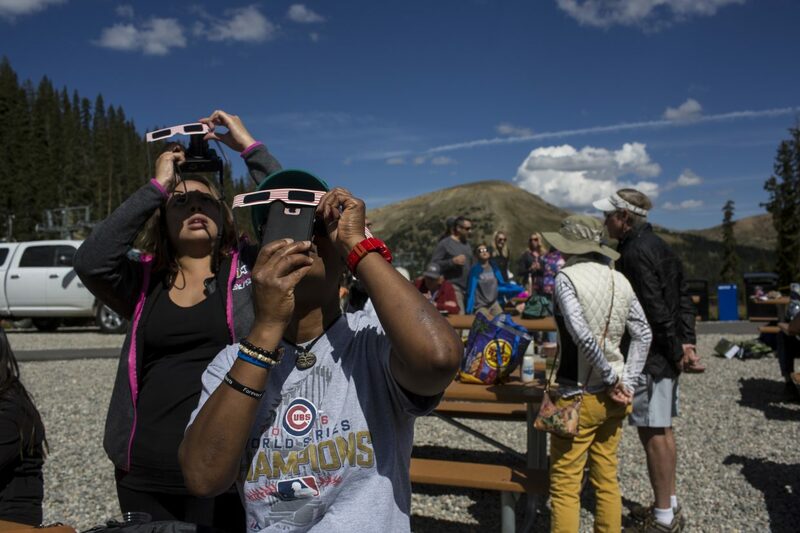 Summit County residents view the solar eclipse with their devices Monday, Aug. 21, at Arapahoe Basin. 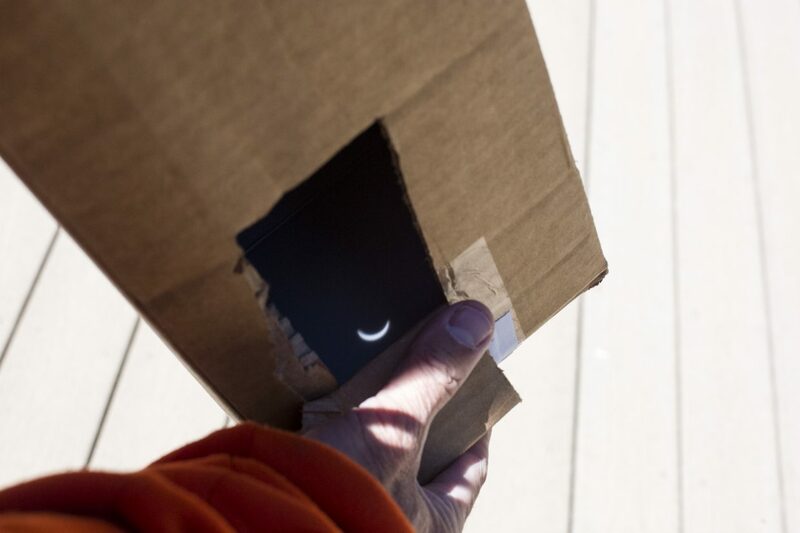 The solar eclipse visible from inside the homemade pinhole projector box made with a cardboard, aluminum foil, and tape Monday, Aug. 21, at Arapahoe Basin. 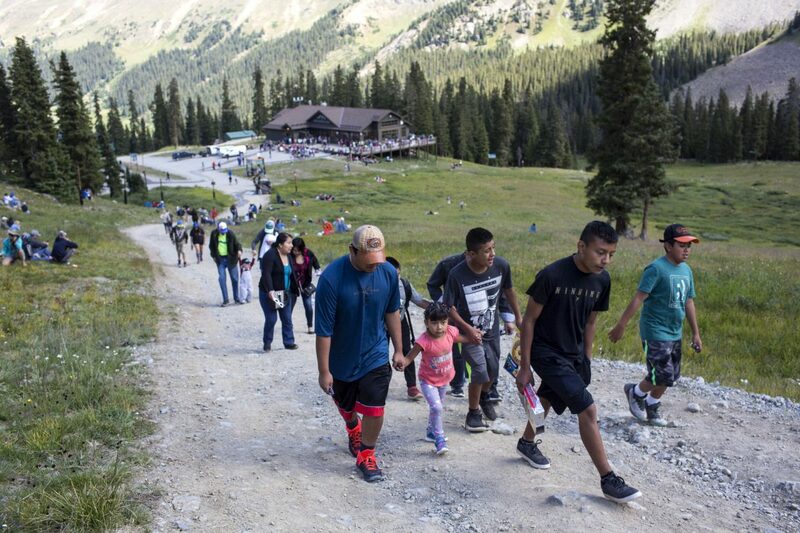 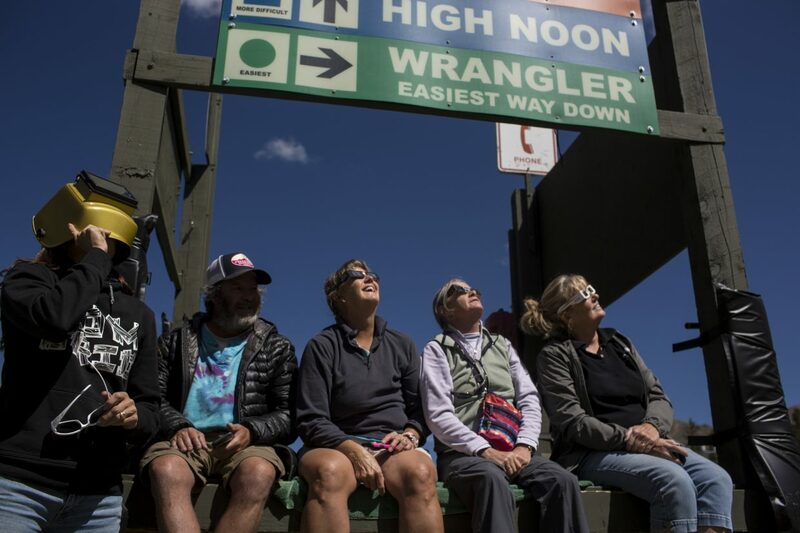 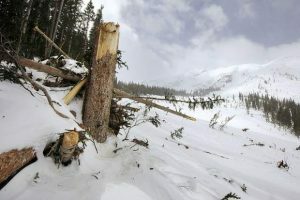 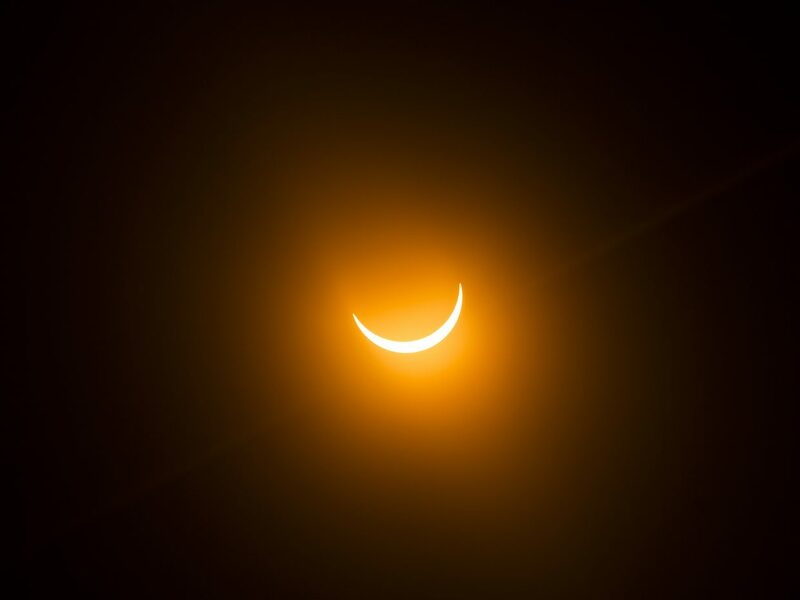 Solar eclipse viewers hike on Arapaho Basin Ski Resort Monday, Aug. 21. 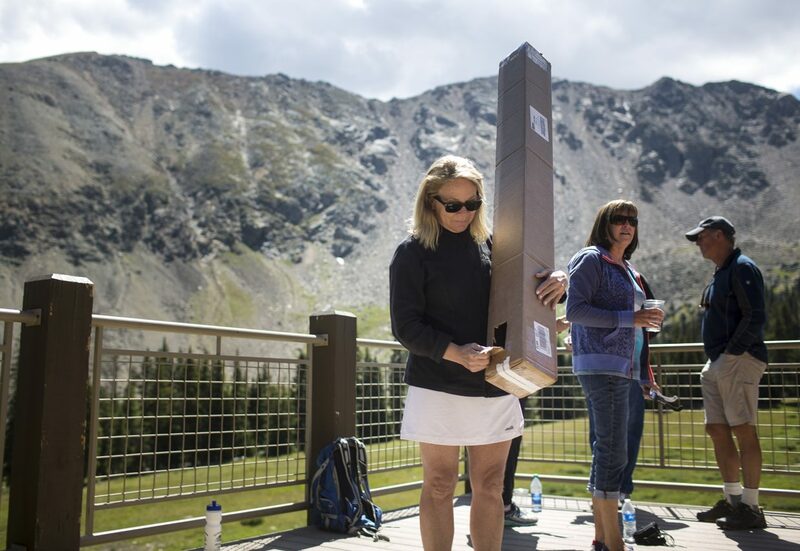 Elyse Degroot views the solar eclipse from the homemade pinhole projector box made with a cardboard, aluminum foil, and tape Monday, Aug. 21, at Arapahoe Basin. 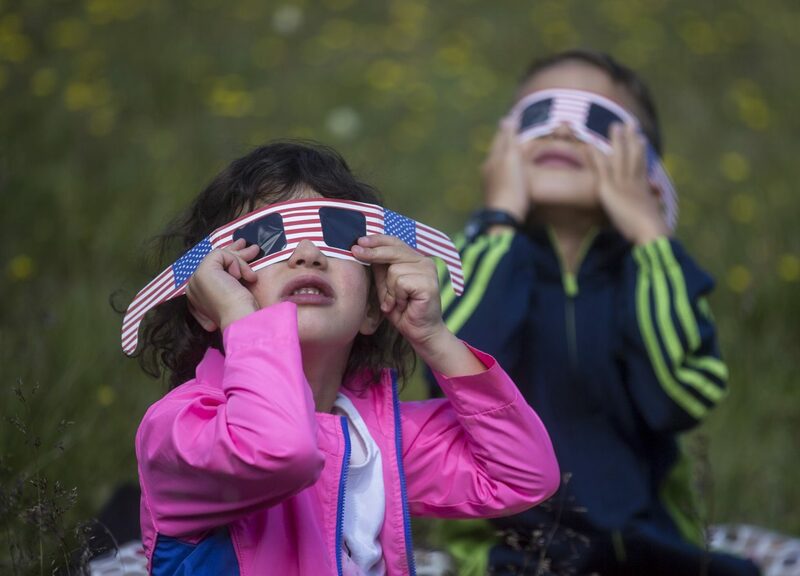 Alice Prostak, 5, and her brother Sam, 7, in background view the solar eclipse through the goggles Monday, Aug. 21, at Arapahoe Basin.